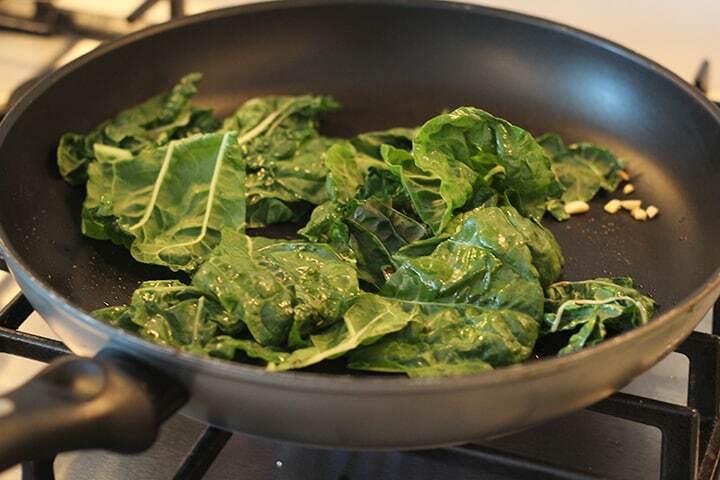 For my first chard experience, I decided to sauté it like spinach and add in something light and summery…. 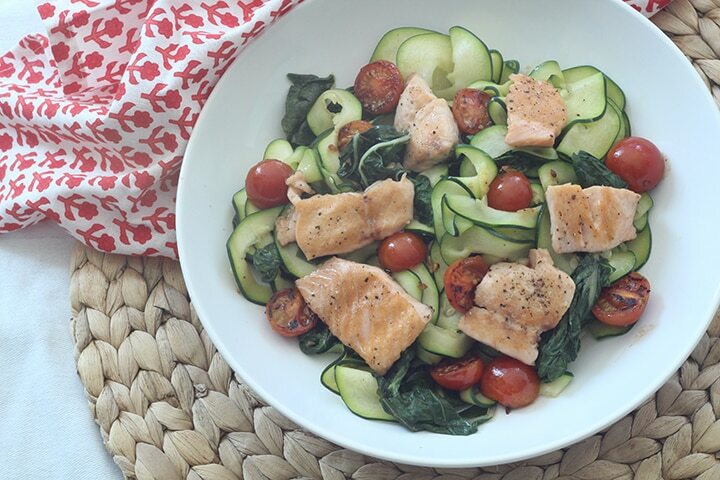 salmon and tomatoes. 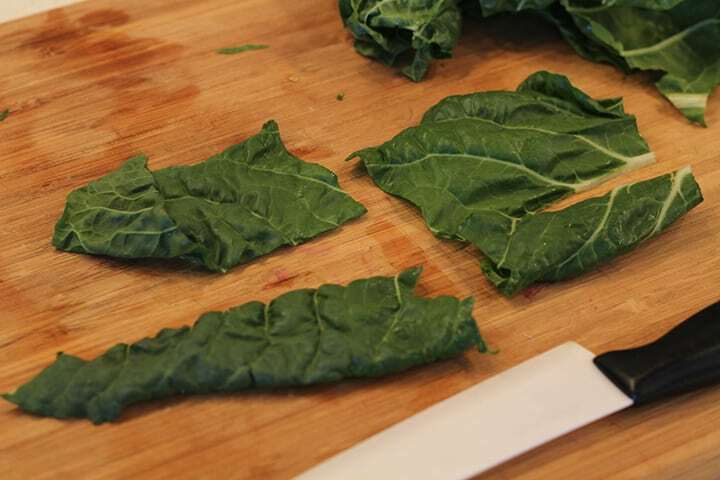 The simplicity of this dish really allows you to appreciate the chard. I found it a combination between kale and spinach: it’s not as nonexistent texture-wise as spinach, but it’s not as thick as kale. So quick to make and yummy, I ate it in less time than it took to make it. Oops. 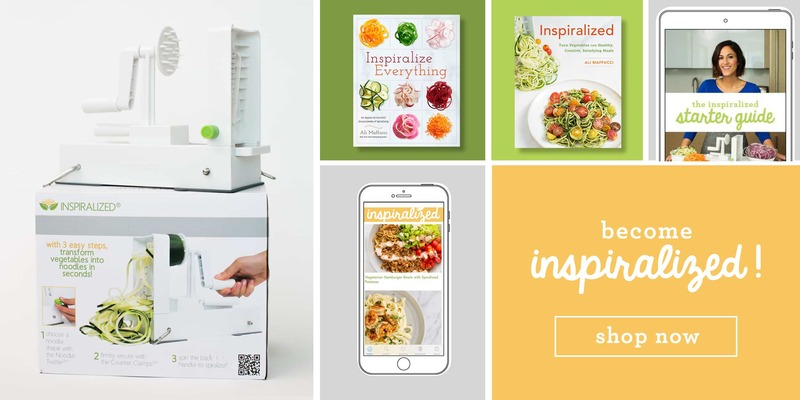 And I will admit, I had to Google “how to cook chard.” I seriously wouldn’t be able to boil water if it wasn’t for the internet. 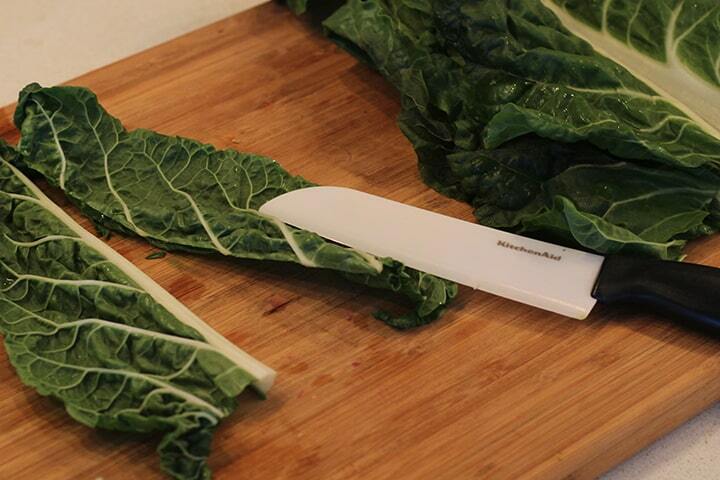 Prepare the chard. 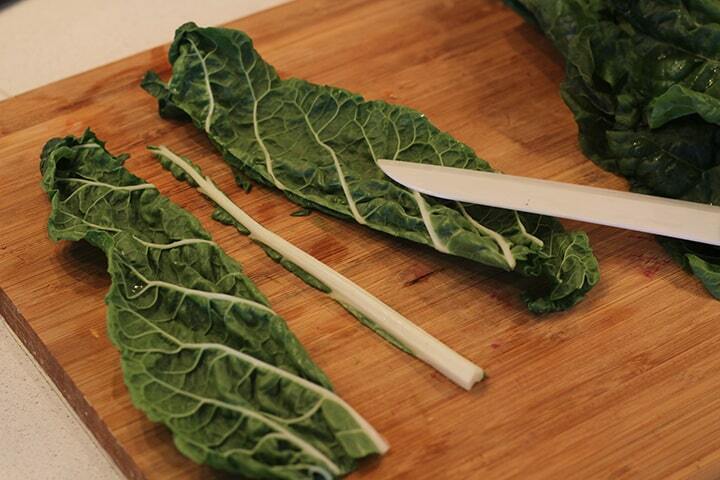 Cut out the white stem of each leaf and cut into 3 inch pieces. Place aside. Heat up the grill (I used a George Forman grill). Spray both sides with olive oil cooking spray. 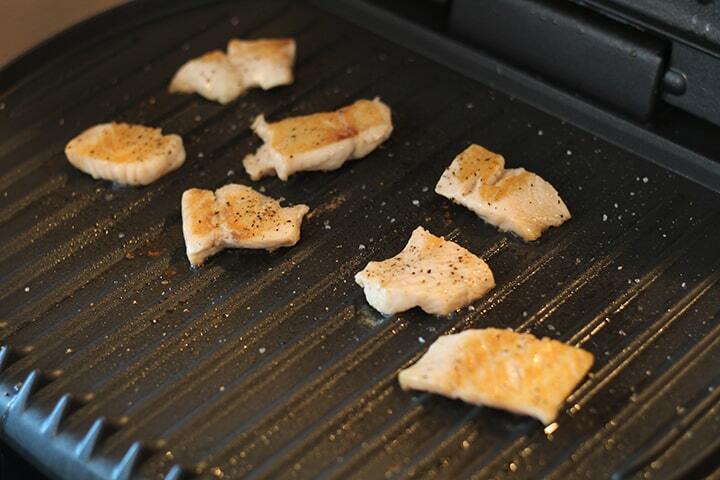 Once heated, place the chunks of salmon down and season with salt and pepper. Cook until finished (if on George Forman, about 5 minutes) and set aside. 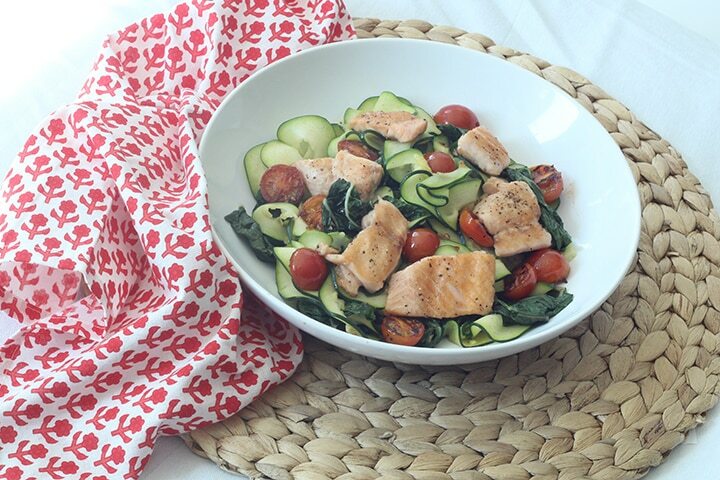 While your salmon is cooking, place a small saucepan over medium heat and spray with cooking spray. Place in the tomatoes sliced-side down and cook for about 3-4 minutes, flipping over once. When done, set aside. 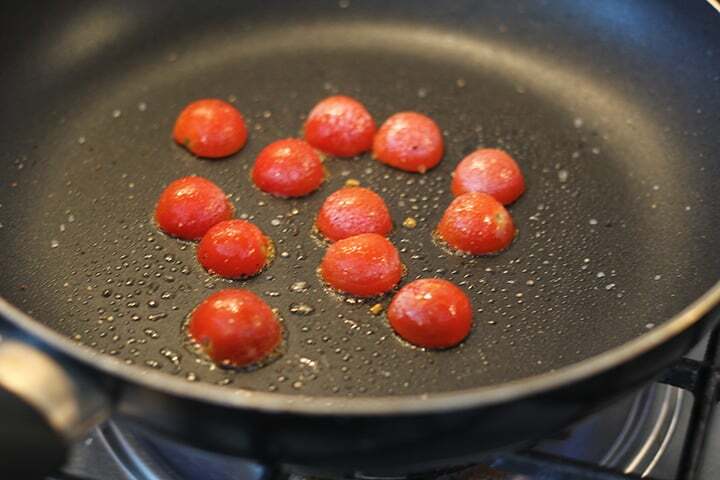 Place a large skillet over medium heat and add in the olive oil. Once oil heats, add in the garlic, cook for 1 minute and then add in the red pepper flakes and green chard. Cook the chard for about 1 minute and then add in zucchini pasta and vegetable broth. 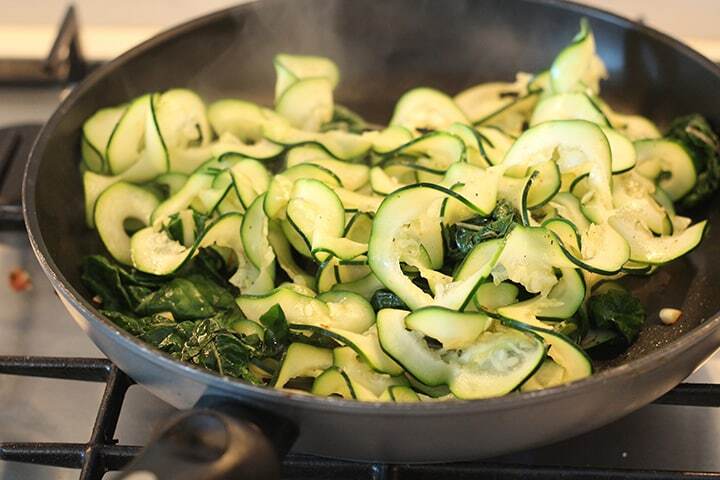 Cook for about 2-3 minutes, stirring frequently until chard wilts and zucchini pasta softens and heats through. 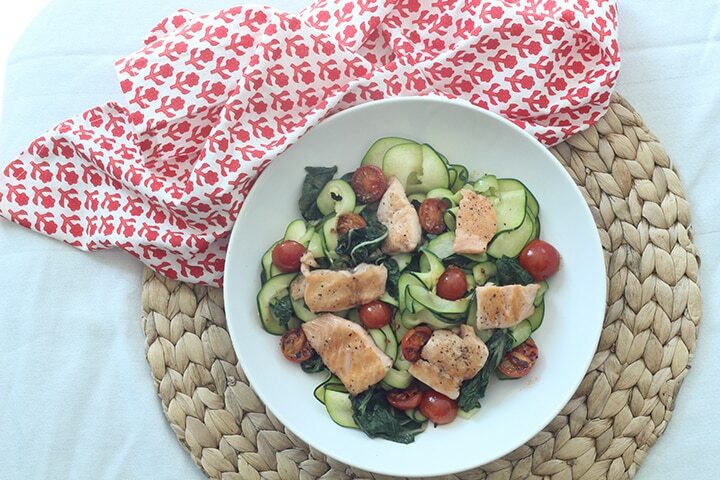 Place the pasta and chard in a bowl and top with tomatoes and salmon. 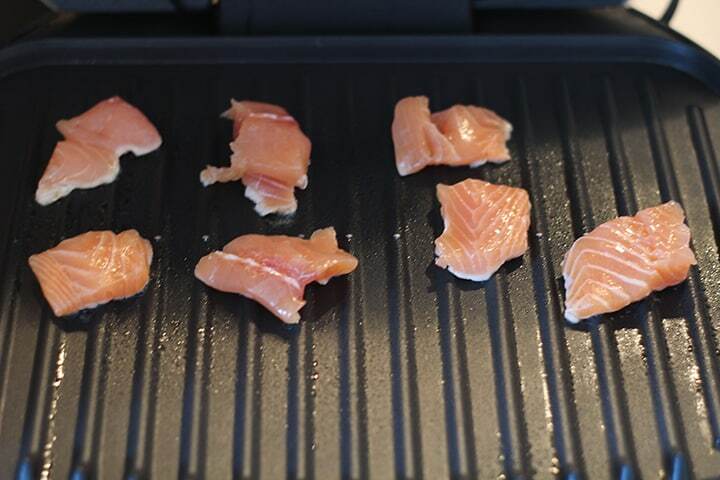 If you don't have a grill (or George Forman Grill), you can simply cook your salmon any way you'd like - sauté it, bake it, poach it, whatever. 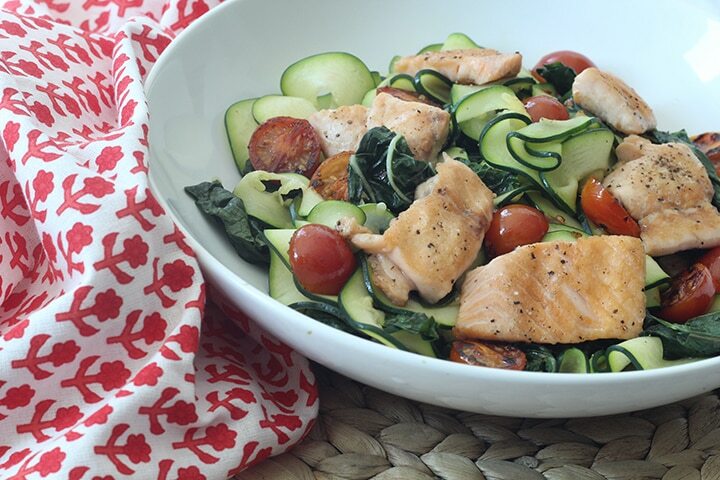 Place the pasta and chard in a bowl and top with tomatoes and salmon. Easy peasy lemon squeezy.